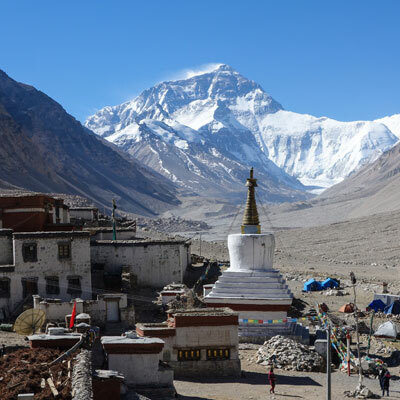 Tibet Everest base camp tour: everyone’s dream trip is truly amazing and adventurous journey that leads you to the roof of the world and the highest base camp in the world - Mt. Everest. The majority of Everest base camp tour will be spent travelling the friendship highway; home to some of the most beautiful scenery this side of heaven. Our route will lead us through seven days of rugged beauty. Along this journey we will pass through turquoise lakes, breathtaking passes, beautiful snowy peaks, numerous alpine settlements and the ancient monasteries of Tibet than we could imagine. This tour also offers an opportunity to explore the wealth of natural and cultural allure. 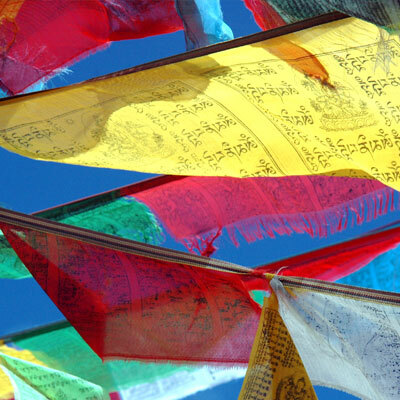 While in Gyantse and Shigatse we even immerse ourselves in the Buddhist culture and tradition. The first three nights of our Tibet Everest base camp tour will be spent in the ancient city of Lhasa. 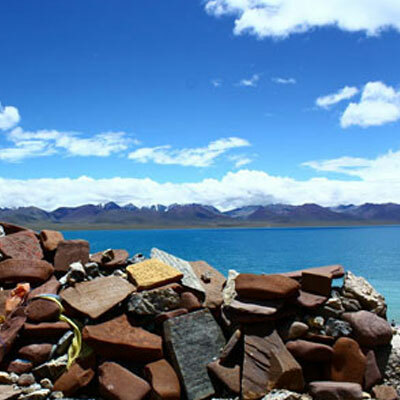 This duration will give us an opportunity to have a proper acclimatization and sightseeing of culturally and historically interesting sites of Lhasa. The legendary Potala Palace, unique Sera and Derpung monasteries and the local market of Barkhor Bazaar will be some of the major attractions we enjoy while in Lhasa. 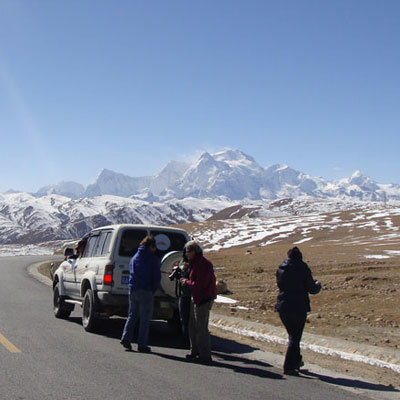 After exploring the ancient town, we leave Lhasa on a private Jeep or Van. Along the wonderful Friendship Highway we will stay in first-rate yet traditional Tibetan gust houses and hotels every step of the way. The most admirable highlight of Tibet Everest base camp tour is our visit to the world’s highest base camp of Everest. The Sheer brilliance of this mountain is something which must be seen firsthand to be truly appreciated. We will be blown away by its beauty and astronomic size. The breathtaking view of Mt. Everest from base camp is truly breathless and marvelous. We invite you to join our most amazing Everest base camp tour from Tibet side which will guarantee to be the memory of a lifetime. Tibet’s striking landscapes, ancient cities, alpine settlements with the mountain views and vibrant Buddhist culture and tradition are unparalleled in this world. We operate Tibet Everest base camp tour as a small group departure tour starting from Lhasa or Kathmandu, join our amazing group departure tour to Tibet Everest base camp, pay less and enjoy an epic adventure with local experts. Day 01: Arrive at Lhasa by train or plane - 3650m. Day 08: Drive from Shigatse to Lhasa – 3650, 385km via northern road. If Tibet Nepal boarder opens from 2016 onward then you can end your trip in Kathmandu as well. On the day 08 instead of driving to Shigatse you could drive down to Nyalam and next day to Kathmandu. Please contact us for up to date information. Trip Cost: Please contact us and let us know your group size and what kind of hotels and guest houses you would like to use while you are in Tibet. Once we hear from you we'll send you a quote as per your desire and budget. Note: You can join this tour from Kathmandu as well and if you are wising to join the trip from Kathmandu you need to come at least 2 days before the trip departure. We need the scanned copy of your passport at least 25 days before the trip departure. Upon your arrival at Lhasa airport or train station, your Tibetan guide will greets you and transfer to hotel. It’s an easy and one and half hours drive to Lhasa, the capital city of Tibet. The rest of the day can be spent relaxing and acclimatizing on your own. Overnight at hotel. After breakfast at hotel, your guide will take you to visit amazing Potala palace which is Lhasa’s major attraction and is a wonder of eastern architecture. Your very first glimpse of this massive structure will be a miraculous moment remembered for years to come. Potala Palace has been a palace since the fifth or sixth century and was once home to the Dalai Lama. This truly stunning day will be ended with a great visit the Sera and Derpung Monastery, once the world’s biggest monastery, home to more than ten thousand Tibetan monks, it lies hidden in rocky ridges just beyond the Lhasa city. Surprisingly much of the building was left untouched throughout so many hundreds of years. We come to Lhasa for overnight at stay at hotel. Today’s breakfast will be at earlier than the other days, after breakfast, we leave Lhasa on a four wheel or van along the wonderful Friendship Highway. Today, you will enjoy your drive crossing cross the amazing high passes including Khambo La and Kharo La pass, which will provide stunning views of the Himalayan range and Tibetan landscapes. An enormous glacier rises nearly straight up from the road as the trip passes Kharo La pass. Today drive is absolutely exciting since we pass through many more beautiful Tibetan settlements, valleys and alpine yak pasture along the way. We reach Gyantse by late afternoon and overnight at hotel. Today is an easy day, we just have a short and scenic drive from Gyantse to Shigatse. Breakfast will be at hotel. First of all, we have short visit to Gyantse Dzong. This fort is believed to be since the 14th centuries and offers some of the most amazing views of Gyantse and the surrounding valley. In the next we will visit the famed and splendid tired structure Gyantse Kumbum as well which is the largest Chorten in all of Tibet. After visiting Gyantse we drive to Shigantse. If time permits, in Shigatse we will explore the local market and sightseeing of Tashilhumpo Monastery. This monastery is one of the largest functioning monasteries in Tibet. That was able to last through the Cultural Revolution nearly unscathed. Overnight at hotel in Shigantse. After we are served by the hot breakfasts we will leave Shigatse and drive along the wonderful Friendship Highway enjoying the spectacular views of this desert plateau. After passing through the small town of Lhatse the journey crosses Gyatmso La pass which is the highest pass on our trip. The land quickly descends to plains after Gyatmso La pass. 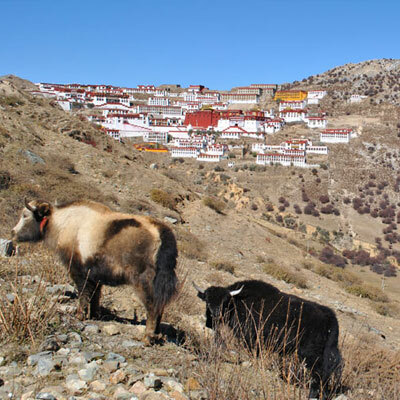 While driving through the plains we will observe many nomadic herders, beautiful countryside, and secluded monasteries. Overnight at guest house in Shegar. After breakfast we leave Shegar; we will drive only a short while before turning off the wonderful Friendship Highway. The drive will take us south towards the main Himalayan range while passing over Pang La Pass. The view from the top of Pang La pass is just marvelous. From the top we are able to see all the way from Mt. Makalu to Mt. Shishapangma range. In the afternoon we descend into the Rongbuk valley and Mt. Everest will jump quickly into view. It would be our first chance to catch a glimpse of Majestic Mt, Everest. Overnight at basic guest house at Rongbuk. Today is the very special day of our entire journey. After an early breakfast at guest house, we will be heading to Everest Base Camp by taking a local bus to cover the 8 km distance to reach Base Camp. The views of north face from so close which makes the mountain seem even more impressive than before. It is a truly amazing experience to stare up at the sheer North face of Mt. Everest, the top of the world. This mountain towers above us in a looming yet with magical way. By noon, we will start driving back to Shigatse through the wonderful Friendship Highway. Overnight at hotel in Shigatse. Day 08: Drive from Shigatse to Lhasa – 3650m, 385km. After breakfast the drive continues via northern highway to Lhasa. This is about six hour’s journey through the new road and different views of countryside. Upon arrive at Lhasa, we will check in to the same hotel for our comfort stay. Overnight at hotel. 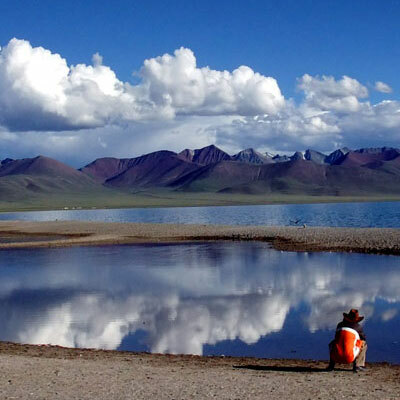 Final transfer from Lhasa to your next destination or extend your Tibet tour. Tibet Travel Permit with Everest base camp permits. Our website contains as much information as possible about Tibet Everest Base Camp Tour. However, if you have any questions regarding trip, please feel free to contact us. We answer all enquiries within 24 hours. If you want to book a trip, you can send us an email or contact us directly by phone: 0977 98510 36844 (Ram Kumar Adhikari).